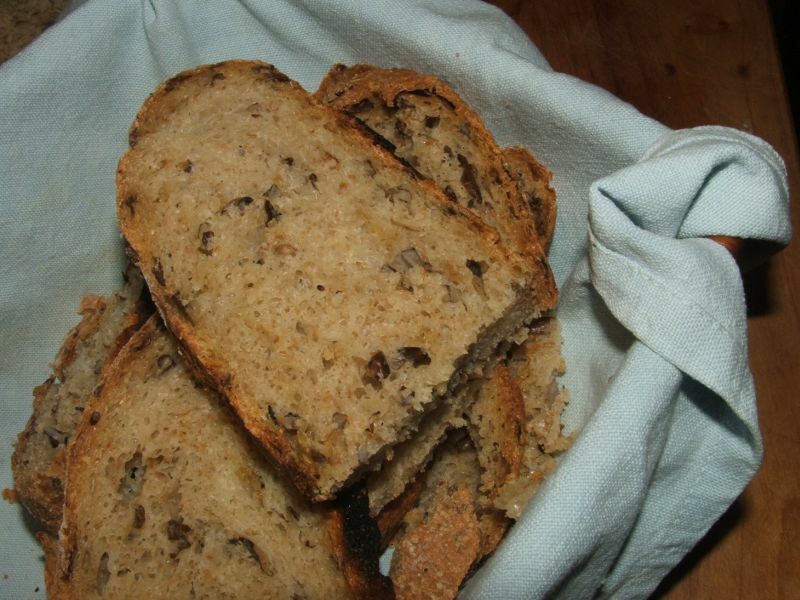 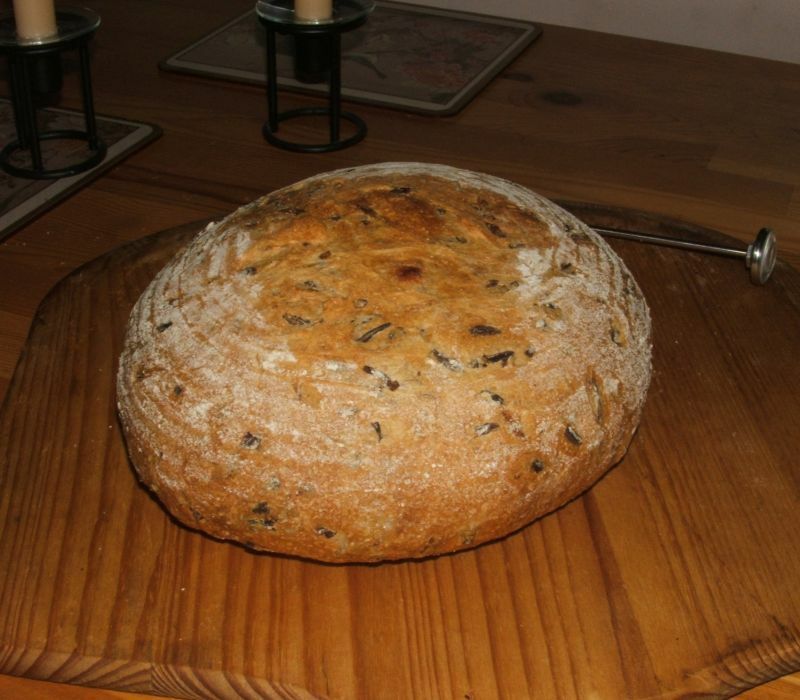 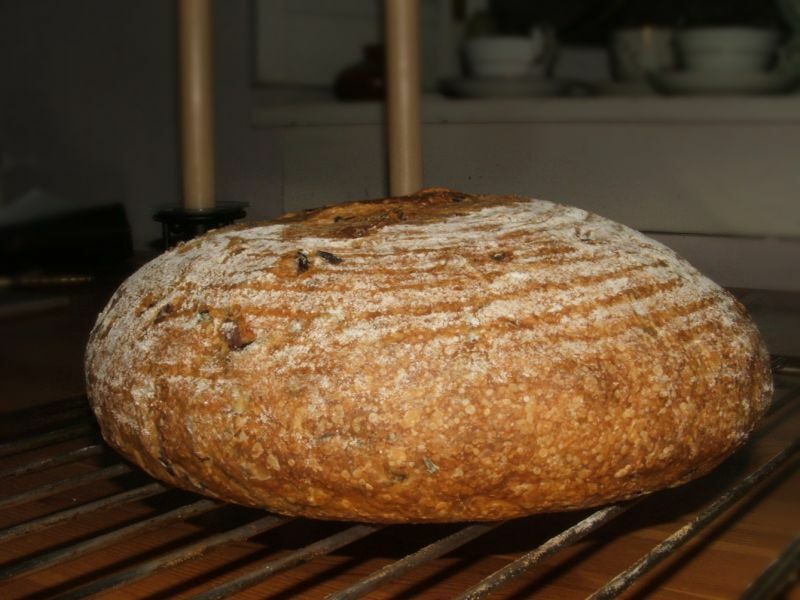 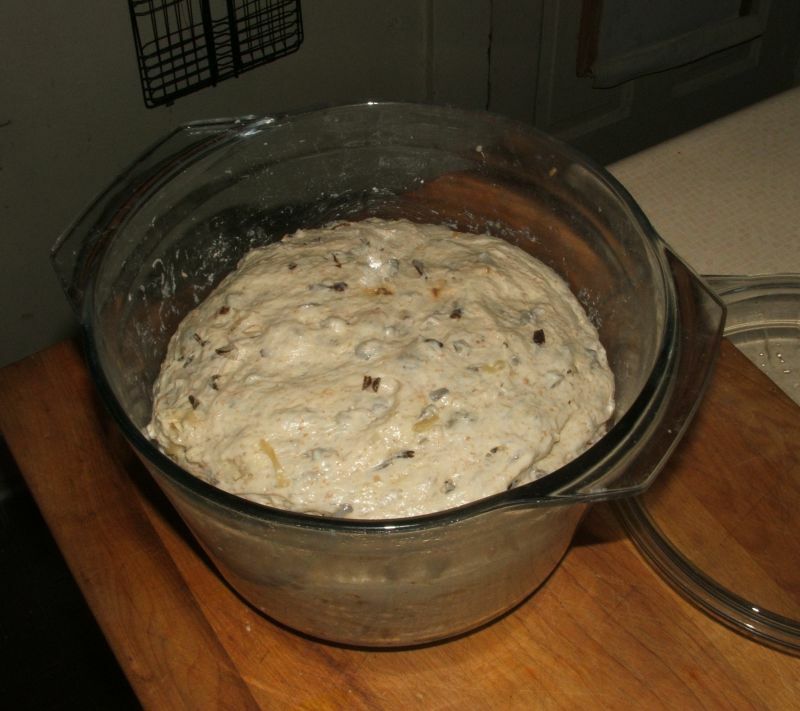 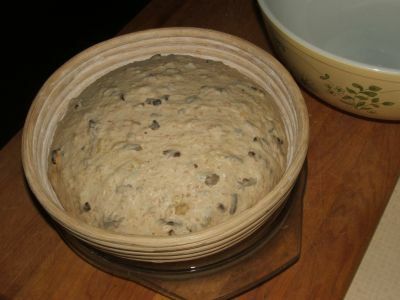 Based on a recipe in "Artisan Breads Every Day" by Peter Reinhart, this overnight rising bread is made with cooked wild rice and caramelized onions added to the dough. 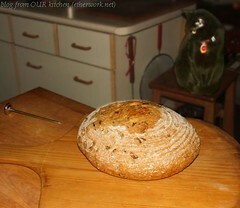 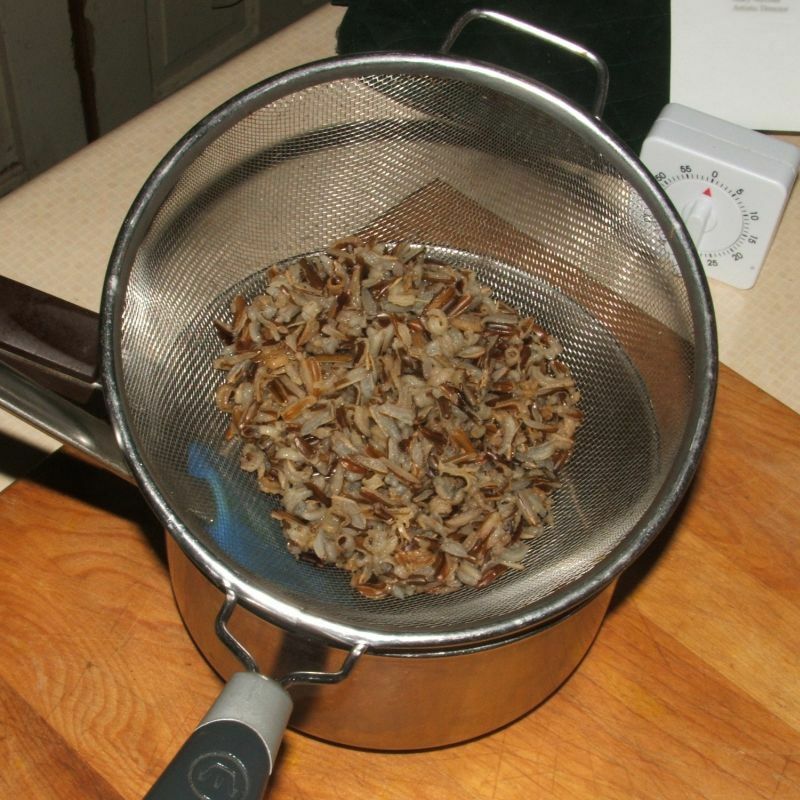 Slightly overcooked wild rice draining - luckily, wild rice is very forgiving and doesn't turn to mush if overcooked. 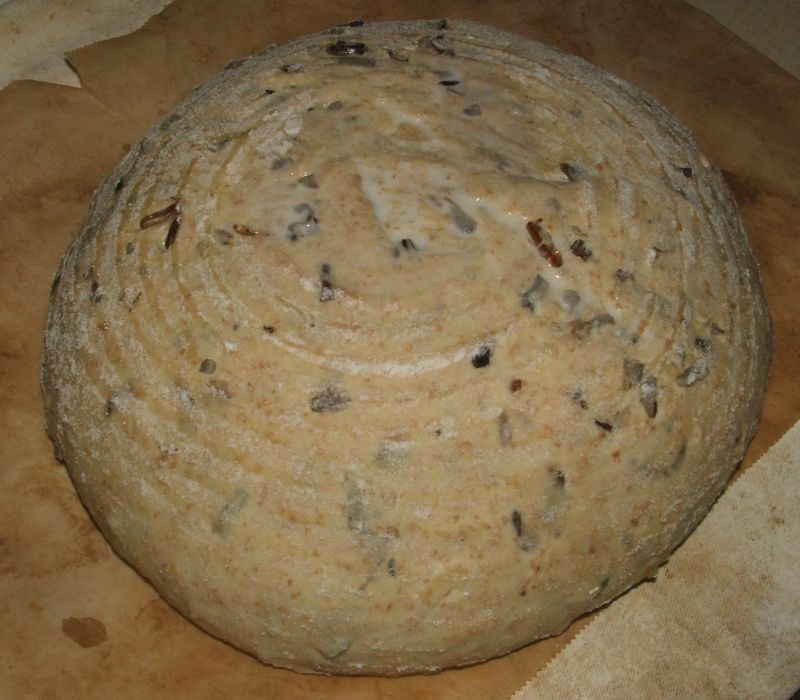 The cooked wild rice and caramelized onion in the dough are both attractive and fragrant. 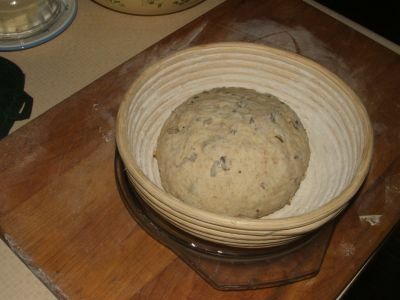 This is how the dough looked after its overnight rise. 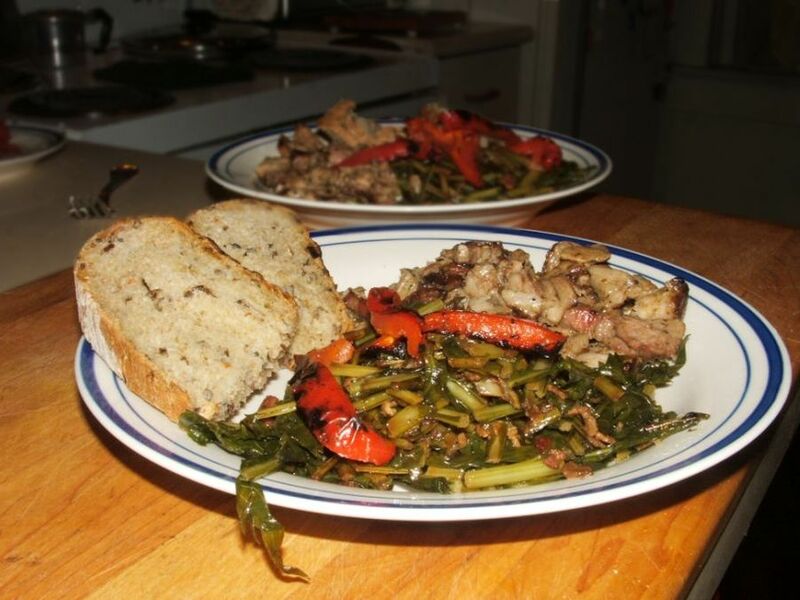 We served the bread with barbecued pork shoulder, dandelion greens and grilled red peppers. 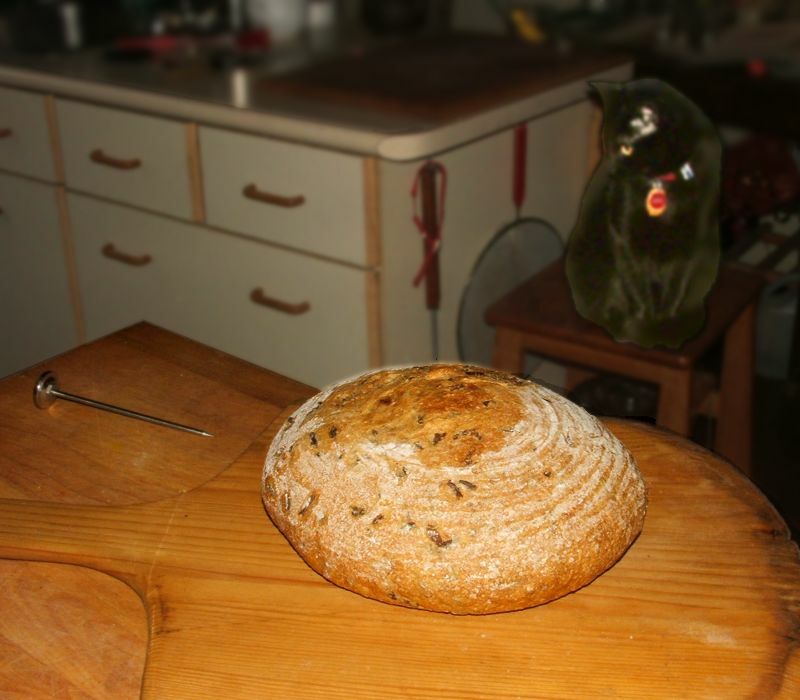 Once again, we ate like kings.